Over the last two issues of Lone Warrior, I wrote two articles on the Battle of Prairie Grove (American Civil War) in 1862. The first article included a review of a recent book about the battle, “Fields of Blood” by William Shea. The second discussed my efforts to turn the battle into a solo game. In the course of reading and writing about the battle, I made several trips to the battlefield, which is about 20 miles from my home. I took several photos, and I thought this blog would be a good place to show the pictures and say a few more words about the battle and battlefield. 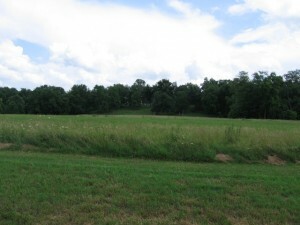 The battlefield is now a state park run by the Arkansas Parks and Tourism Department. The park is well maintained and hosts several events during the year, as well as a battle re-enactment every even-numbered year. There are both walking and driving tours of the battlefield. 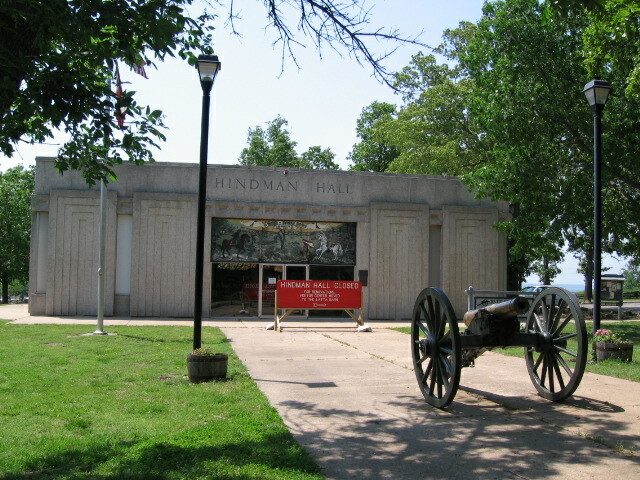 Most tours start at the park’s museum, Hindman Hall (above), named for the Confederate comander at the battle. The building is currently being renovated and the park headquarters has been moved temporarily to another, nearby location. Leaving Hindman Hall and driving east along the back slope of the Prairie Grove ridge, you come to a cannon marking the location of Blocher’s Confederate battery (above). Except the location may be wrong. 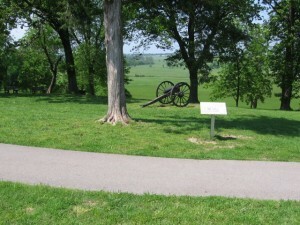 In “Fields of Blood,” William Shea suggests that the memorial cannon is placed somewhat forward of the battery’s actual location during the battle. Shea’s research led him to believe the battery was really situated closer to the path visible in the picture’s foreground. 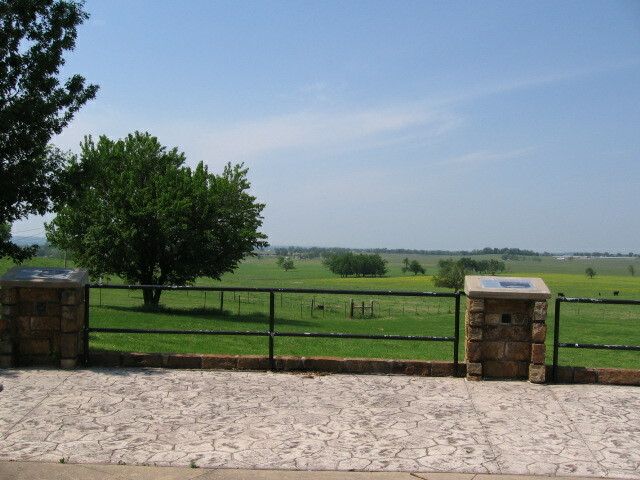 It made some difference because, as Federal troops advanced on the battery, across Crawford’s Prairie (seen in the distance), they disappeared for a time under the brow of the ridge. The next time they came into view was when they suddenly appeared on top of the ridge, to the consternation of both sides. The Federal troops recovered a split second faster, and got off a volley that killed, wounded or scattered most of Blocher’s artillerymen and horses. 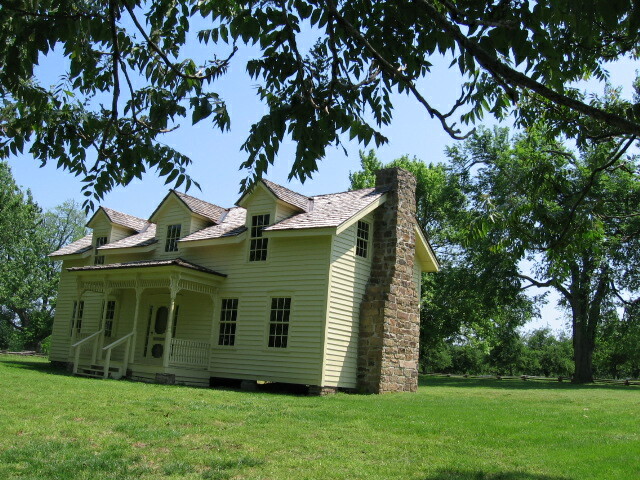 About 40 yards to the southeast of Blocher’s position stands the reconstructed Borden House. (The original structure was burned down right after the battle.) The house became a focal point of the fighting on top of the ridge, with Federal troops driving past the house into the apple orchard behind it. There, they came under Confederate fire from three directions and were soon driven back down the ridge. 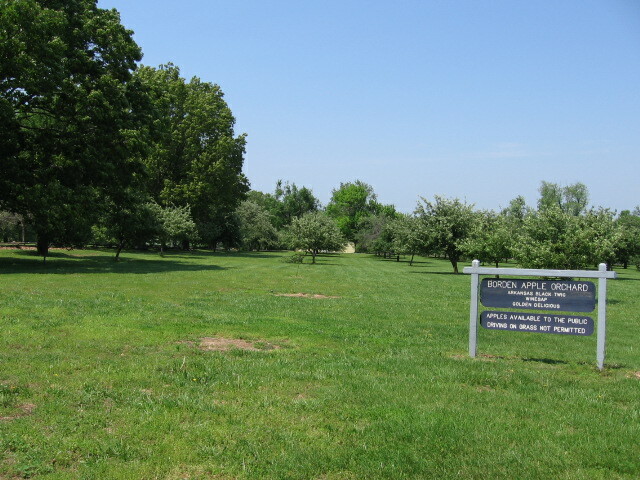 Above is a photo of the present-day orchard, looking north toward the Borden House, which is barely visible in the center distance. 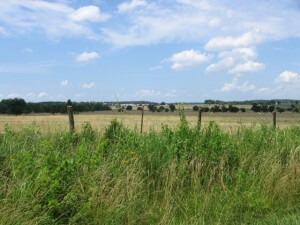 This photo was taken from about the middle of the battlefield, looking south toward the ridge. This is the view the attacking Federal troops would have had. The Borden House is barely visible among the trees in the center distance. 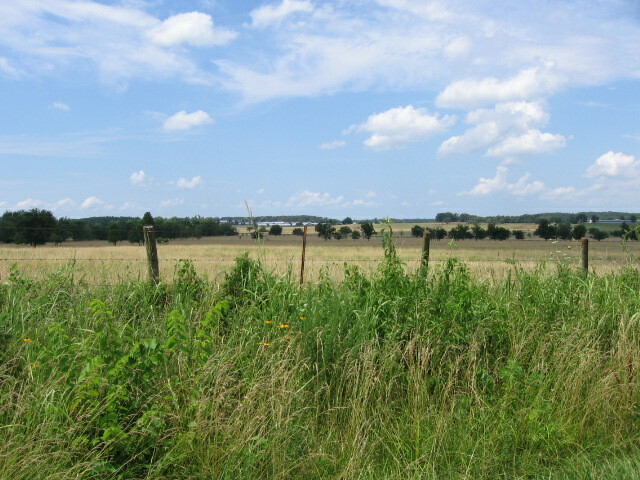 This photo was taken from the same place as the previous one, but now looks north toward Crawford’s Hill in the distance. Union General Herron made his headquarters on the hill. Finally, here is a shot taken from the park’s west overlook. This was the location of the western end of the Confederate line and Union General Blunt attacked toward this position late on the day of the battle. The view is north-easterly across Crawford’s Prairie. Crawford’s Hill can also be seen from here. It’s just above the right-hand pillar of the overlook. This entry was posted in Periods - American Civil War. Bookmark the permalink.